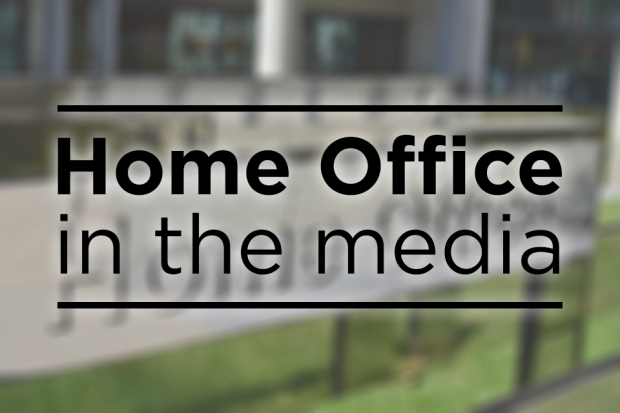 Today’s Home Office media stories include further coverage of the major incident in Amesbury and President's Trump visit to the UK. There is widespread coverage of the death of Dawn Sturgess after she was exposed to the nerve agent Novichok. The papers report that the death is a major development which will heighten tensions between the UK and Russia in a week in which Donald Trump will visit both countries and the World Cup in Russia will conclude. The Guardian focuses on comments made by the Home Secretary that there are no plans to impose fresh sanctions on Russia as well as his warning against ‘jumping to conclusions’ about this specific incident. The comments were made during Sajid Javid’s visit to Salisbury and Amesbury. A police officer who attended hospital over concerns he may have been exposed to Novichok has been given the all-clear. On the operational side, papers report that counter-terrorism police are combing through 1,300 hours of CCTV footage as part of the investigation. Media have reported on the Home Secretary's statement following the death of Dawn Sturgess. President Donald Trump’s visit to the UK this week receives widespread coverage in the papers and on broadcast this morning. The Guardian reports on comments by an anonymous chief constable who says there will be ‘eye-watering number’ of police officers required to patrol the visit. Around 50,000 protestors are expected in London on Friday, the Star reports. The Express carries quotes from Simon Kempton, of the Police Federation, who says the visit will place a heavier burden on the officers not called up for the visit who are left to carry out their own duties as well as those of their absent colleagues. A statement by the National Police Chief’s Council about how they are coordinating resources across forces is carried in the Guardian. Some broadcasters have carried the below Home Office spokesperson statement. We are working with the policing partners to support President Trump’s visit. Forces supplying officers to support major events can be recompensed by the hosting force through the police’s established mutual aid process.